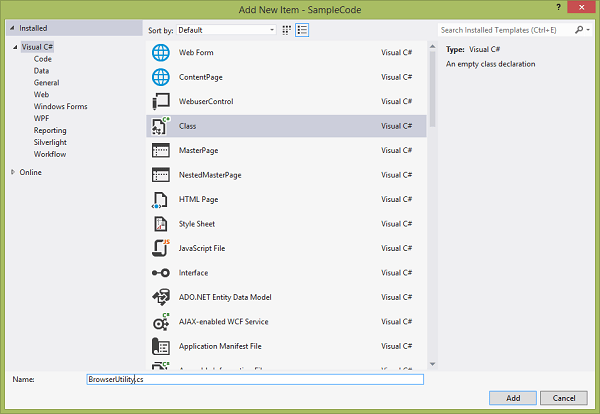 First, open a new project in Visual Studio by navigating to File -> New -> Project… (or hit Ctrl+Shift+N). 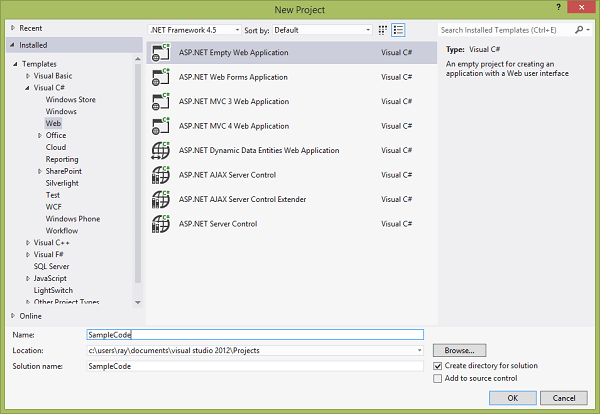 Next, I will select Templates -> Visual C# -> Web -> ASP.NET Empty Web Application and name the project SampleCode. I will also check the option to Create a directory for solution and hit the OK button to continue. Now, I am going to add the App_Code folder to my project because I want to create a helper class for organization reasons. 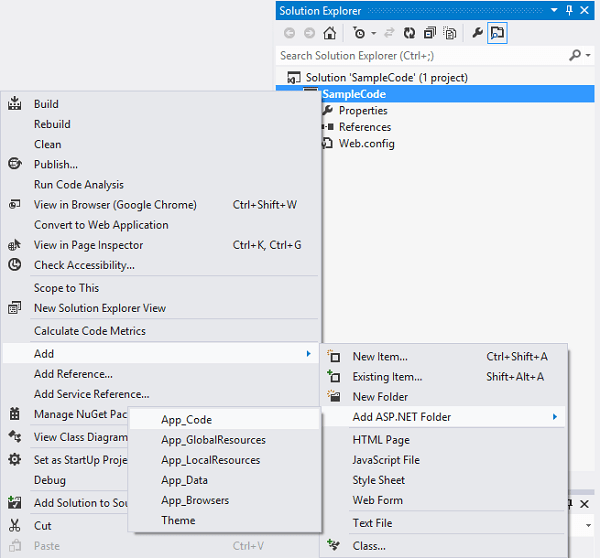 To add this folder, right click on the project name (SampleCode) in the Solution Explorer window and navigate to Add -> Add ASP.NET Folder -> App_Code. To add the class, right click on the App_Code folder you’ve just created and navigate to Add -> Class… I’ll go ahead and name this class BrowserUtility.cs and click on the Add button. 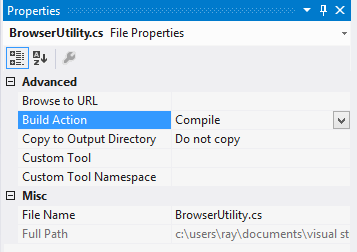 To make sure this class gets compiled into an assembly that I can use later, I’ll highlight the BrowserUtility.cs file under the App_Code folder, and in the Properties window, I will change the Build Action from Content to Compile.